Discover what’s possible with specialist children’s therapy. Every child develops at their own pace, but if you or your doctor has noticed your child missing key milestones, they can benefit from support through early childhood intervention. At Scope, it is important for us to understand your child’s needs and goals. Our early childhood therapy services are designed to enable your child’s development such as improved communication skills, social relationships, and functional behaviours. Our therapists will also support your child in preparing for the next stage of life, whether that is child care, kindergarten, or school. Through early childhood therapy services kids can even enter school alongside their peers with little or no extra support. Early years are when your child develops the most. This means that your child’s relationships, nutrition, environment and playtime have an important role now and in the future. The team at Scope are here to take the pressure off you and open the door to possibilities. 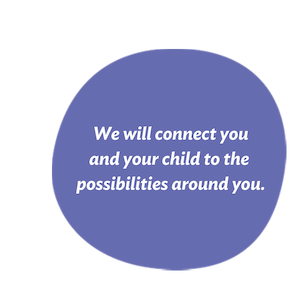 Our focus is on you and your child and the hopes and dreams you have for their future. We will work with you to turn those hopes and dreams into real possibilities. Your therapists are friendly, inspiring, knowledgeable and, most importantly, really care. They will work in partnership with you, your family and your wider support network. It’s a relationship based on trust, quality treatment and a shared desire to reach goals. We to get to know you and your child. Our therapists then work with you to help your child become the happiest, confident, and independent person. Our team of therapists have been supporting children with disability or development delay all across Victoria, working in the community and partnering with families, health providers, kinders and schools. Scope is creating new possibilities for you and your family in the local area. Recently we’ve enhanced our services and launched dedicated Children’s Therapy Centres where you and your child can receive services from our therapy team. Through these centres, you’ll also be able to easily access related specialist services – such as support for alternative communication or kids mobility. Our centres are conveniently located in the heart of local communities, close to mainstream services, shops and other amenities. These kid friendly spaces also offer us the ability to host group therapy services, parent education sessions, parent support programs and special events. Our newest locations are in the heart of Glenroy and Craigieburn– and we’d love to share them with you! Where are the dedicated therapy spaces? Interested in group therapy services, parent education sessions, parent support programs and special events?